AmbivaBlog: "It was a doctor's duty at the time to know something about stones." science and religion were not [...] at loggerheads, but rather nestled very comfortably [...] into a cohesive and reassuring worldview sanctioned by scripture, belief, and observation [...] Centuries before the word "scientist" was coined (this happened in 1840), alchemists, experimental philosophers, natural historians, and natural philosophers plumbed the depths of the observable world, searching out the patterns and forces that would have been put in place by a benevolent God. The heroes of the scientific revolution of the seventeenth century were almost all devout Christians; the chance to demonstrate the regularity of the universe as conceived by a merciful deity was a tempting prospect . . .
And then science and religion began to cleave and go their separate ways, and all because a few men like Nicholas Steno began to see what was there, like fossil seashells on mountaintops and chronological layers in the earth, instead of what they were supposed to see; "to crack the mysteries of the Earth while holding on to the mystery of God". The great English experimentalist Robert Boyle now wrote that "the works of God are not like the Tricks of Juglers or the Pagents that entertain Princes." The works of God were lawful, and it was the task of the man of science to find and describe them. "Beautiful is what we see. More beautiful is what we understand. Most beautiful is what we do not comprehend." what was being observed was the result of millions and millions of years of geology. [...] "We find no vestige of a beginning -- no prospect of an end" was Hutton's own poetic reaction. He had discovered [...] the awesome concept of deep time. Oren Harman compares the stratification of human knowledge to the strata of geology in this account of an "intellectual epic stretching back in time" -- a review-essay about two books on "the two forgotten fathers of the science of the Earth," in The New Republic Online (subscribers only, but reprinted by Powell's Bookstore). It's a fascinating study in the relationship between belief and knowledge -- how belief can be both a spur and a barrier, a source of fearlessness and of fear. Almost a story of man being expelled from the womb by God, driven by painful contractions of curiosity and doubt. 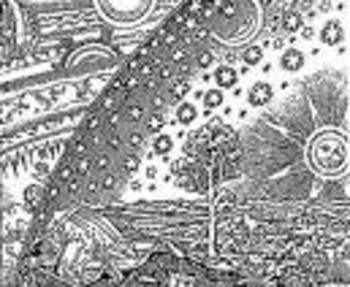 The heroes of the scientific revolution of the seventeenth century were almost all devout Christians; the chance to demonstrate the regularity of the universe as conceived by a merciful deity was a tempting prospect . . .